We typically think of cooking an animal only for its meat, but we’re missing some of the best part! French culinary masters consider stock/bone-broth to be a kitchen essential in flavoring soups, rice, sauce, gravy, and much more. Our ancestors survived on hearty broth made from bones, especially during the winter when fresh food was hard to come by – our bodies have gotten used to the nutrients that animal bones provide and depend on them to grow, repair and function. This is just one of the many reasons I’m not a vegan. Animal bones (and the marrow) contain a protein molecule called glucosamine. Glucosamine, the main ingredient in arthritis meds and joint supplements, helps build and repair joints and also triggers the growth of new collagen. Collagen provides structural support for our bones, tendons and ligaments, and gives our skin shape, texture and youthfulness. While collagen injections may make the Real Housewives’ lips temporarily plump, consistent regeneration of the collagen in your skin, hair, bones, arteries and more can only come from making it part of your diet. I don’t know about you, but as I age, I want to look and feel young… here’s to a retirement full of active travel and less wrinkles! The good news is that natural collagen and glucosamine are an easy and tasty addition to your diet, and will not only help prevent issues, but also rebuild and repair. By simply simmering the nutrients out of the bones, joints and cartilage slowly, you are able to safely extract the minerals and vitamins (magnesium, vitamin D & calcium), as opposed to the high-heat damaging methods used in making glucosamine pills. 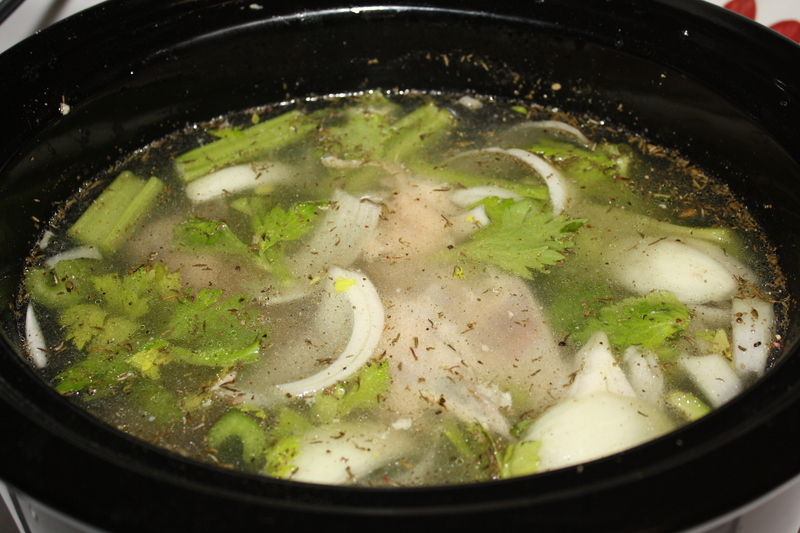 So here’s how I make my weekly bone broth: After I cook my whole chicken, I put the bones back in my crockpot, along with 8 cups of filtered water. I roughly chop any mix of the following to add to the pot: onion, celery, beet greens, carrots, garlic, leek or fresh herbs. You can also add a couple tablespoons of white wine or apple cider vinegar, as the acid in those liquids helps get more minerals from the bones. Simmer on low for around 4 hours. Then strain and transfer to a BPA-free container. Use within a couple of days from the fridge, or store in the freezer. 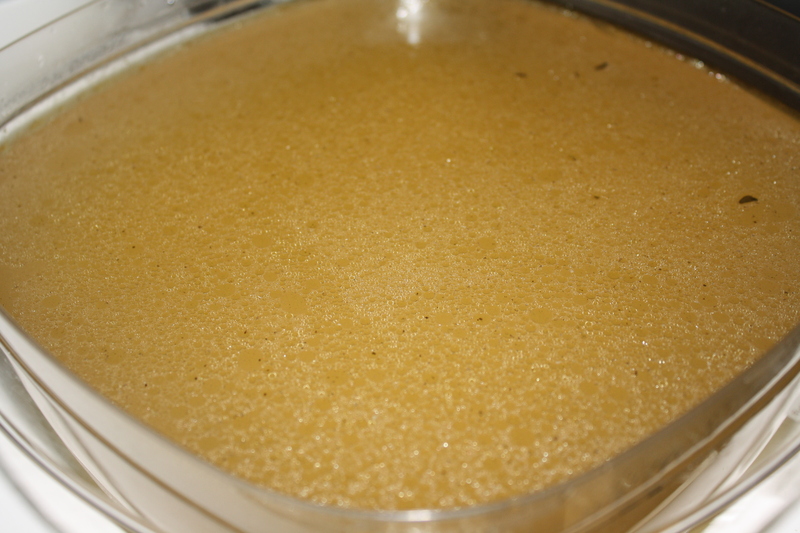 You can use it in any recipe that calls for chicken broth, as a soup or gravy base, to replace water when making rice delicious or drink by itself. 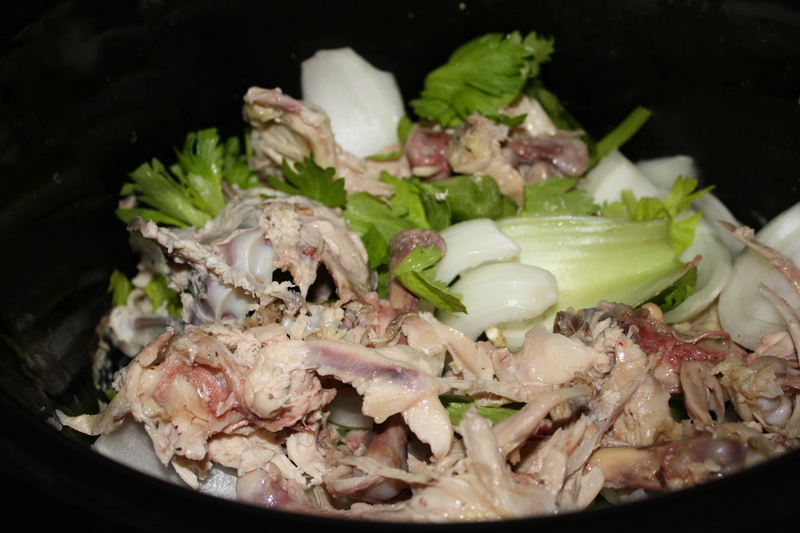 And of course, you can do the same with beef bones or fish bones for different broth flavors. Considering how expensive a container of broth costs, this is a great deal – plus, no chemical preservatives or flavor additives! A special tip for dog owner’s: I sometimes add a little broth to my puppy’s food to help her joints and she loves it! But, be sure not to use any onion in that batch as it is toxic to dogs). Sources: Wikipedia searches of collagen & glucosamine and, of course, Deep Nutrition. Can’t wait to try this!! I’m little nervous, but how hard can it really be? Neat! 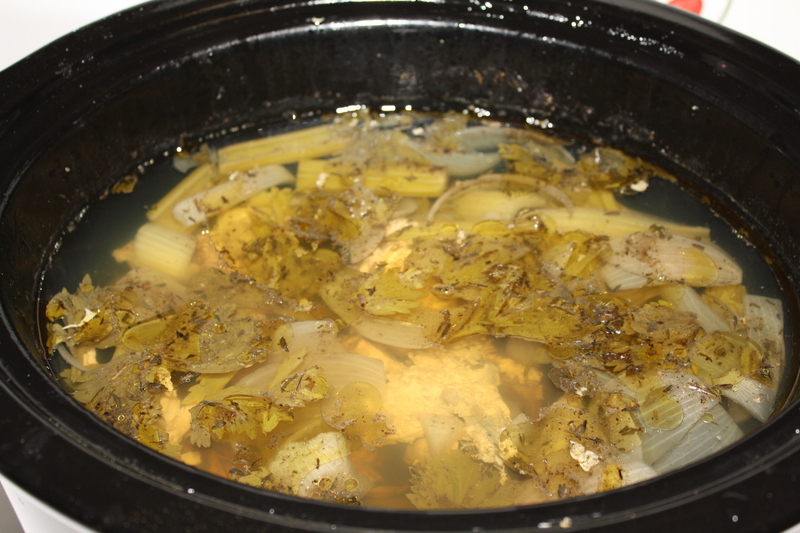 We’ve made chicken broth with the carcus before, but had not thought to do it in the crockpot.